National Futures Association (NFA) is the self-regulatory organization(non-profit, founded in 1982) for the U.S. derivatives industry, including on-exchange traded futures, retail off-exchange foreign currency (forex) and OTC derivatives (swaps). NFA’s mission is to safeguard market integrity and protect investors. NFA is financed exclusively from membership dues and assessment fees. Commodity Futures Trading Commission (CFTC) is the US government agency (founded in 1975) that protect market participants and the public from fraud, manipulation, abusive practices and systemic risk related to derivatives – both futures and swaps. NFA’s activities are overseen by CFTC. NFA membership is mandatory for all forex brokers(including introducing brokers) in US. Must follow strict rules set by NFA to ensures the safety of clients’ assets. Must have net capital of no less than $20 000 000 to guarantee client’s positions. Must report their account balances to NFA weekly. Must have comprehensive yearly audits. Maximum leverage of a US forex broker can offer should be 50:1 on major currencies and 20:1 on minors since October 18th, 2010. 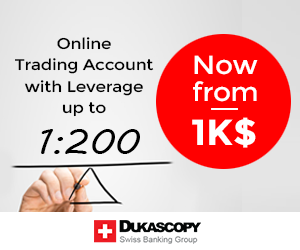 US brokers usually offer a higher leverage to international clients with non-US accounts. They usually have international branches. Note: We don’t include IBs(introducing brokers) in the table.